America is threatened by many crises, ranging from economic recession to international terrorism, but none of these threats are quite so immediate or so fundamentally hostile to our democratic form of government as the existential menace of Florida. Perhaps this is a slight exaggeration, but not by too much, when you consider the multiple ramifications of Florida’s announced plan to hold its 2012 presidential primary on Jan. 31. This would completely wreck the primary schedule as other states move up their dates, and would also result in the Republican National Committee stripping Florida of half its delegates to next year’s convention, which will be held in Tampa. So Republicans in the host state of the GOP convention would be punished for a decision made by their own elected Republican leaders, who seem indifferent to the consequences. “We know the risk we’re taking, but we’re talking about satisfying maybe 100 people versus 19 million people who could have a say in who the nominee is,” Florida state Senate president Mike Haridopolos told the Wall Street Journal, as if a Florida primary in March — where it should be, according to RNC rules — would be utterly irrelevant to the nomination process. This kind of pretzel-logic is inexplicable to sane people, but we’re talking about Florida Republicans . . .
Read the whole thing. Let’s just hope Reince Priebus can stop these crazy Florida bastards from ruining Christmas. They voted for me. Doesn’t that tell you something. They also voted for Marco Rubio. You’re completely right. Why should we let that bunch of sun-baked nincompoops who gave Herman Cain a much needed-boost let their feeling be known before the Corn Lobby State? If this nonsense continues the primaries will be starting before the midterms. zplor?!? Fat fingers strike again! That was back when they thought you were one of the Simpsons. These guys are just STUPID. What happened when they pulled this crap before? Every one of the four early states moved up, too. So what’s the point? To eventually have the primary the day after the Inauguration? Besides, Florida is early enough and big enough to have plenty of influence. They were the clincher for McCain, how much more influential can you get? If the big states with expensive media markets vote too early, no upstart candidates will ever have a chance again. The winner will be chosen from among those who can raise millions early on so they can compete in those big states. For all its shortcomings – and we do need some agreed rotation system for the states after the First Four – our system gives us a chance to test out the candidates in four smaller market states in four different regions of the country. New stars can emerge and challenge the favorites. Florida is just trying to screw it up for everyone. I’ll like to cut off their hanging chads and make them eat them if they pull this trick. we’re still bashing Florida? seriously? who gives a crap. Its not right that four states get so much influence over the nominee, no one can disagree with that. 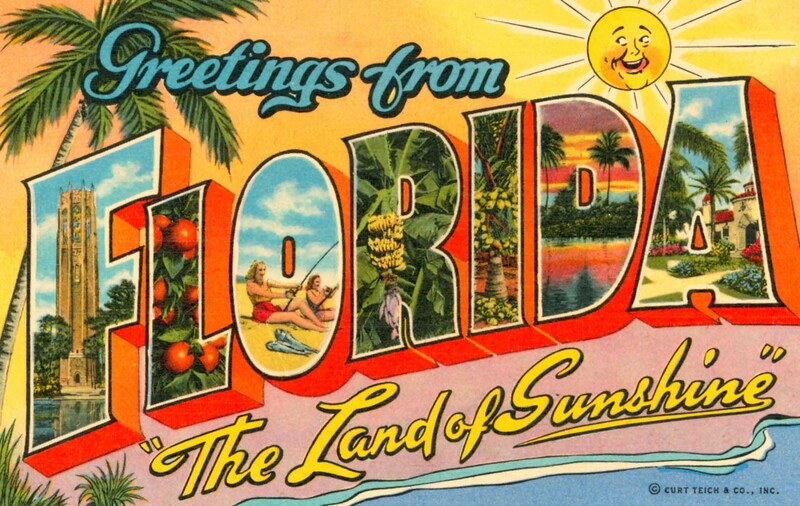 granted it stupid for Florida to try to have an early primary, but why is that news? is there some reason why I should be pissed that florida has an early primary, but be totally ok with Iowa “the corn lobby state” getting theirs? You must have glossed over his earlier post, or missed it. The point is the state officials who are most responsible for this are in the tank for one of the top candidates. If they succeed in moving the primary up, which now seems to be a foregone conclusion, then their guy stands that much better chance of winning, based on recent poll results. If they waited until the earlier predetermined date, their guy might lose based on the downward trending of their candidate of those same polls. Well duh, they experienced me in charge. Hope and change! The inability to see that their plan fails to alter how “influential” Florida will be, puts the stupid on top of the stupid inherent in the alleged motivation for this plan. Methinks you may be right. oh, that makes sense. but what makes us think florida is in the tank for someone, diddn’t the CPAC just elect herman Cain in the straw poll?